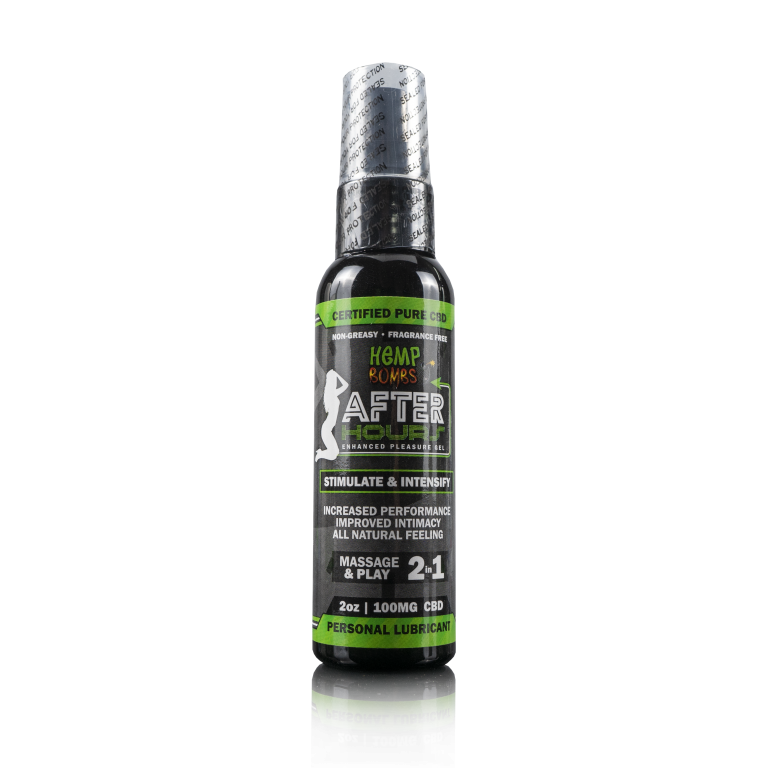 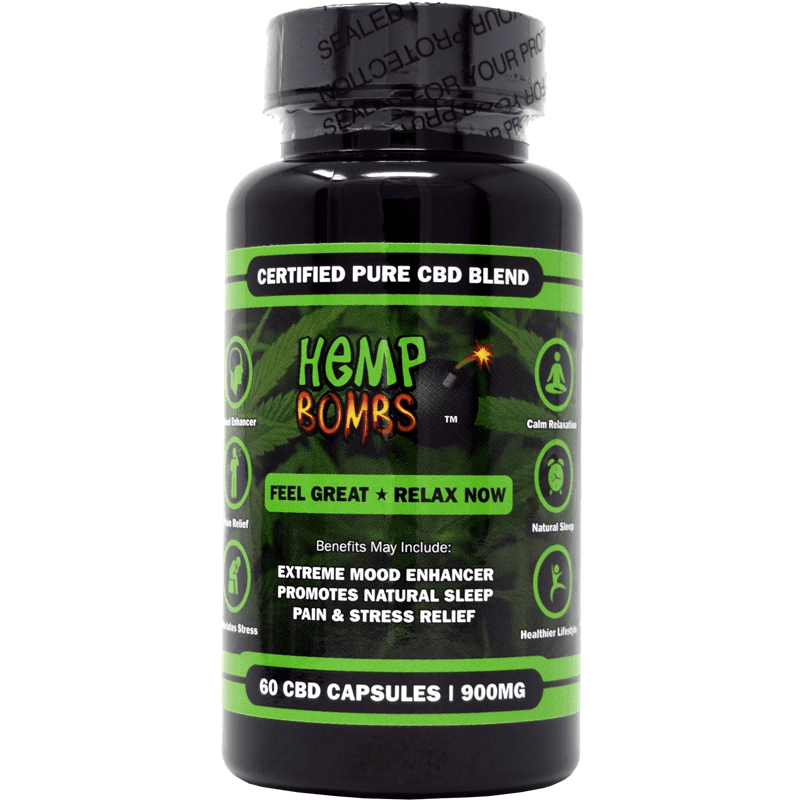 Hemp Bombs stands out from the competition because of our commitment to our customers. 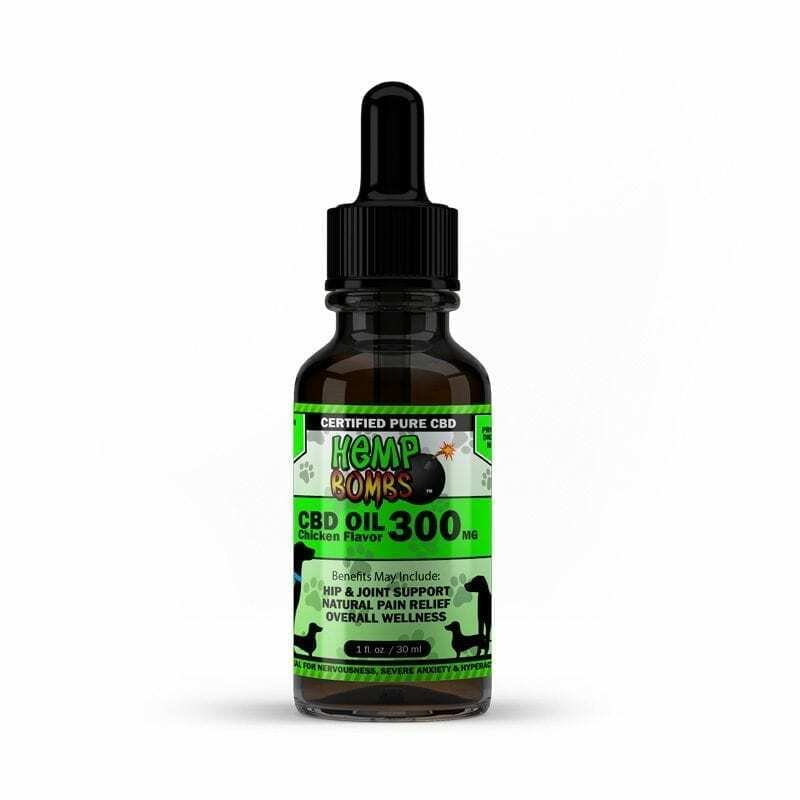 We've developed a large variety of CBD products specifically designed for your needs. 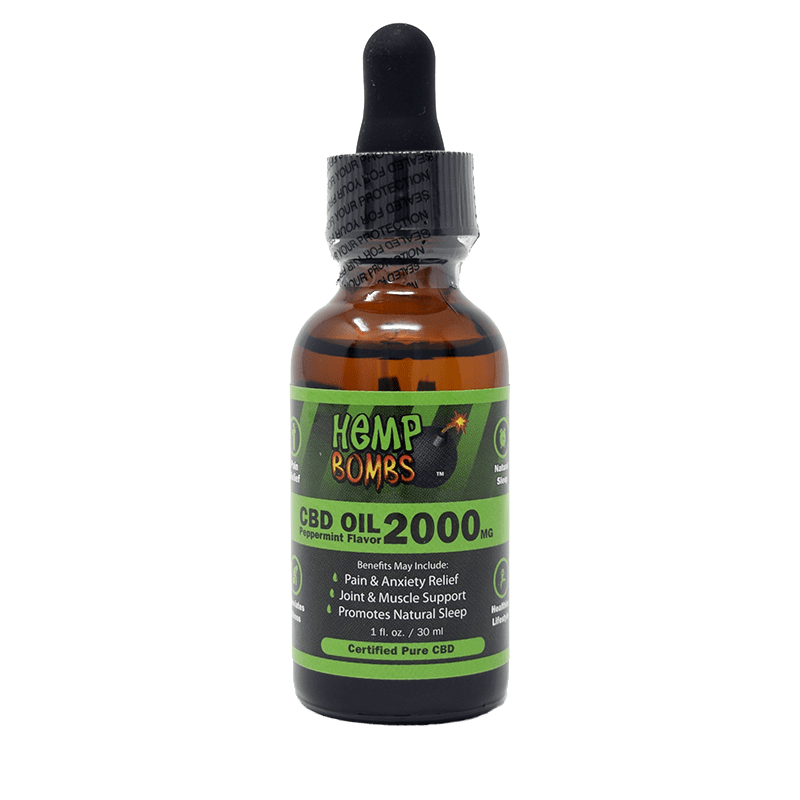 We source our CBD from Industrial Hemp grown in the U.S., and we only partner with farmers who have shown a commitment to sustainability and the environment. 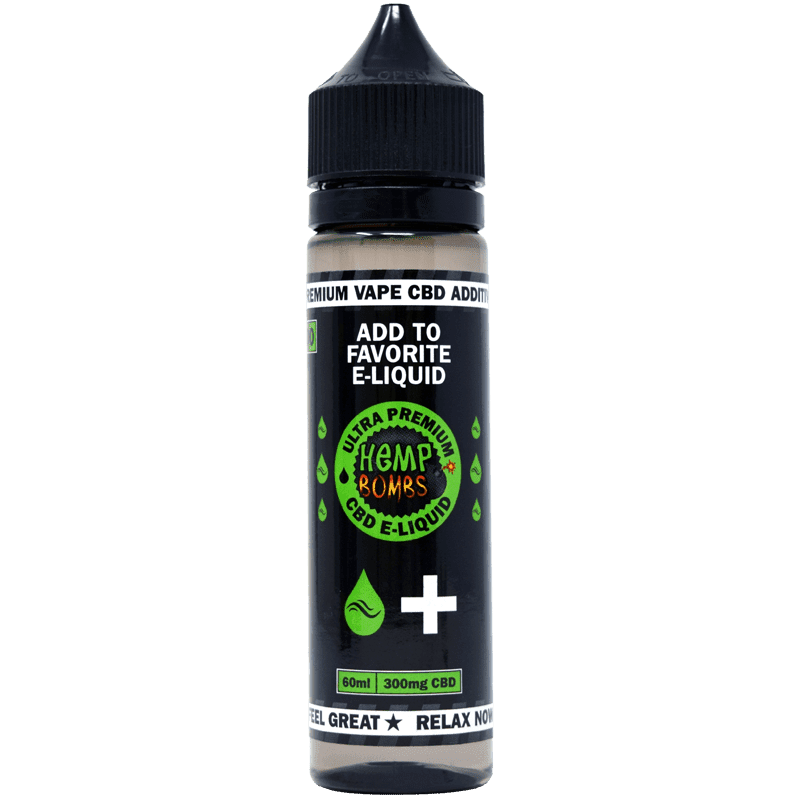 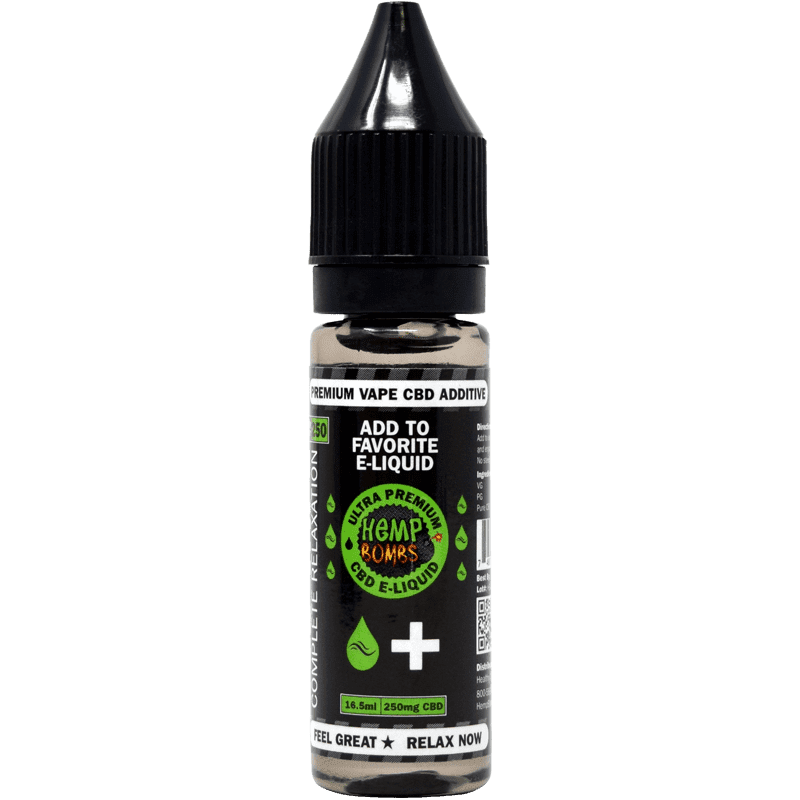 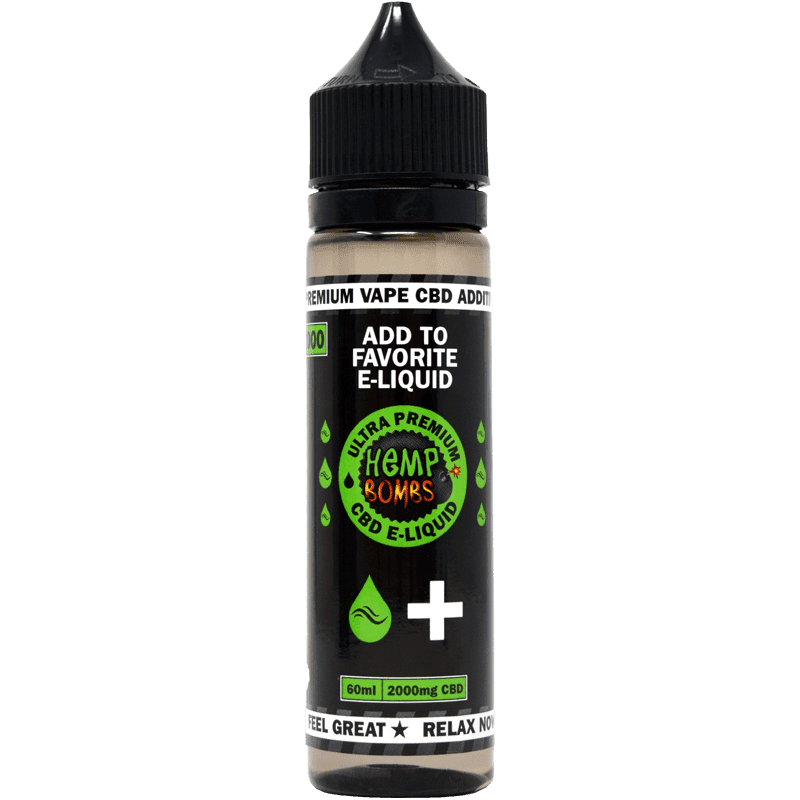 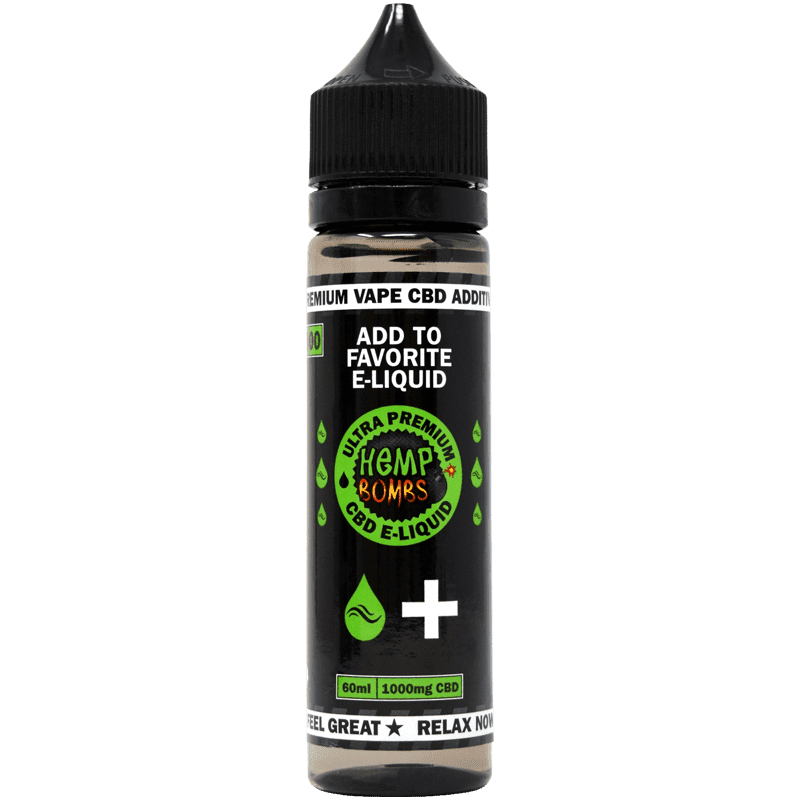 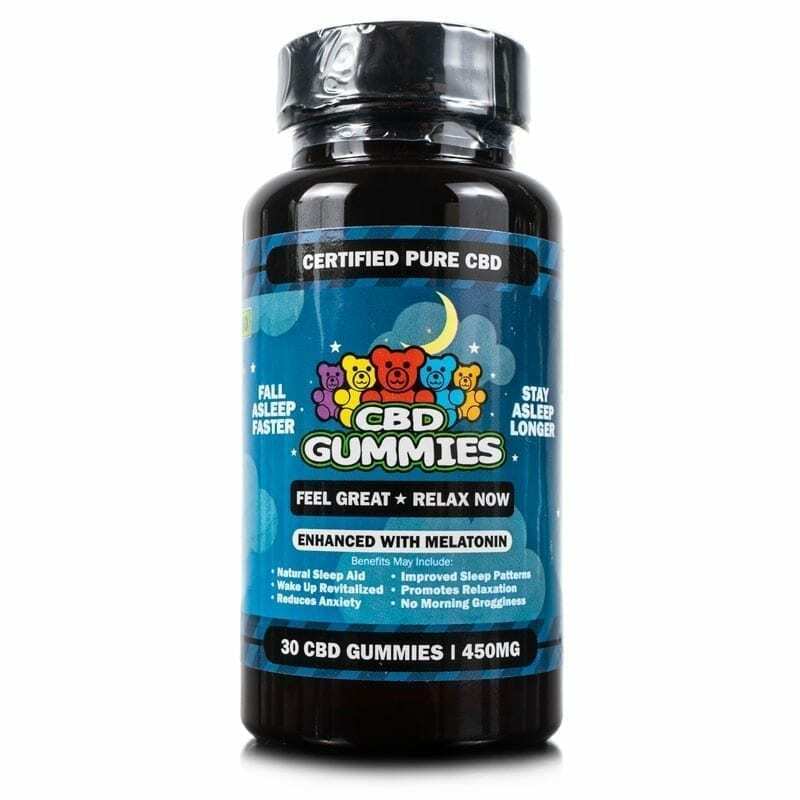 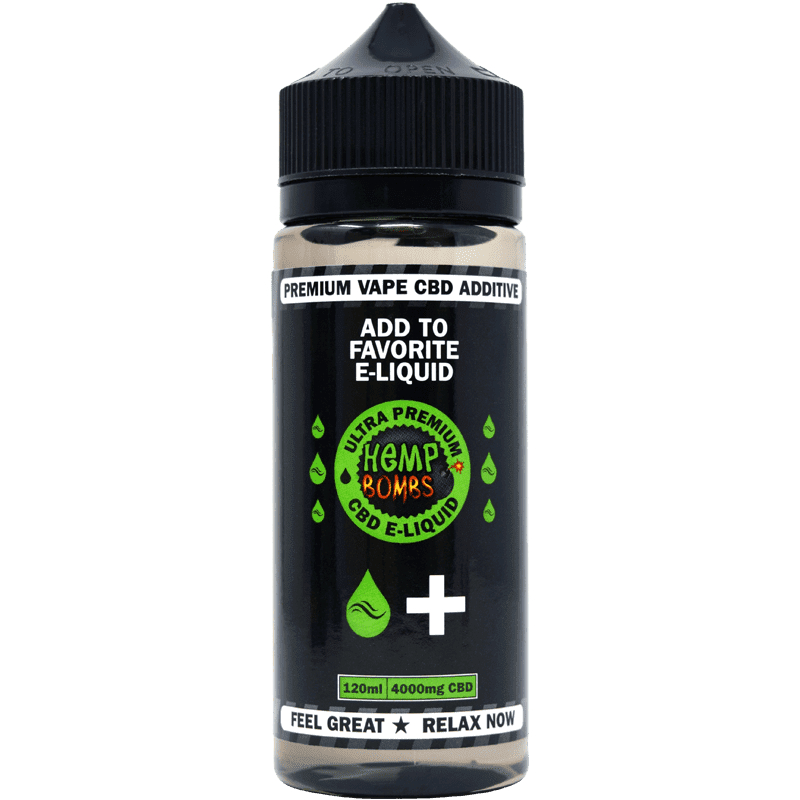 Additionally, Hemp Bombs uses 99 percent pure CBD isolate, which means that our products don't contain any of the other cannabinoids, or chemical compounds, found in the Hemp plant. 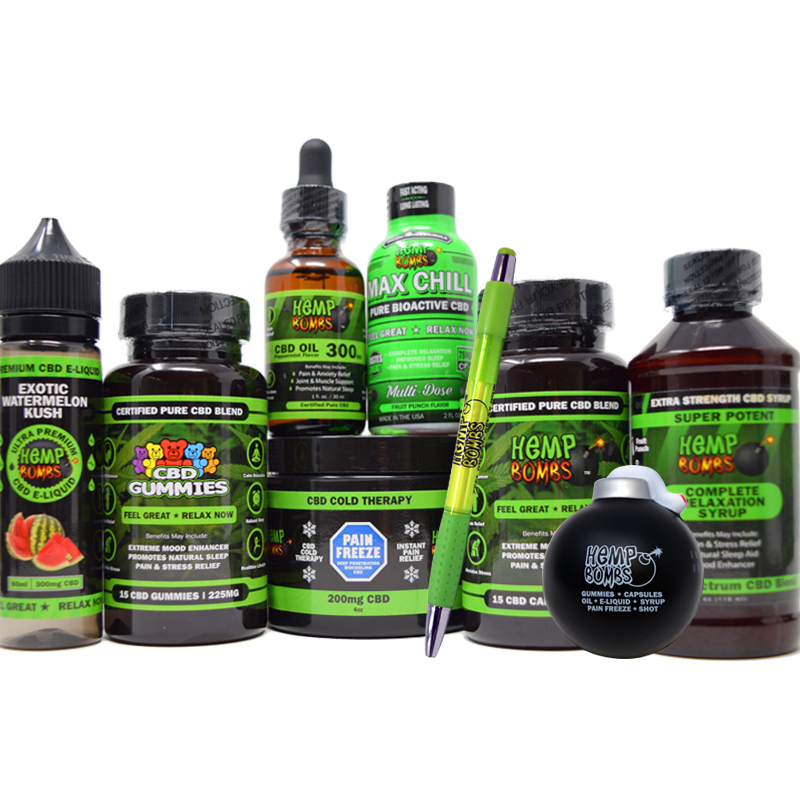 Perhaps most importantly, our product line is THC-free and won't cause you to fail a drug test or feel "high." 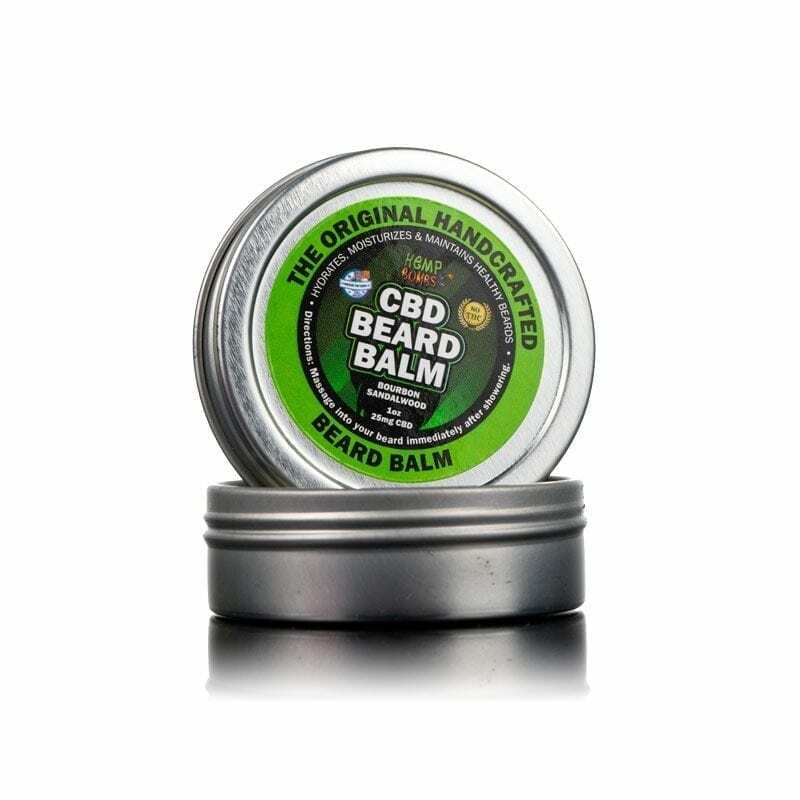 Shop now to discover why people choose Hemp Bombs. 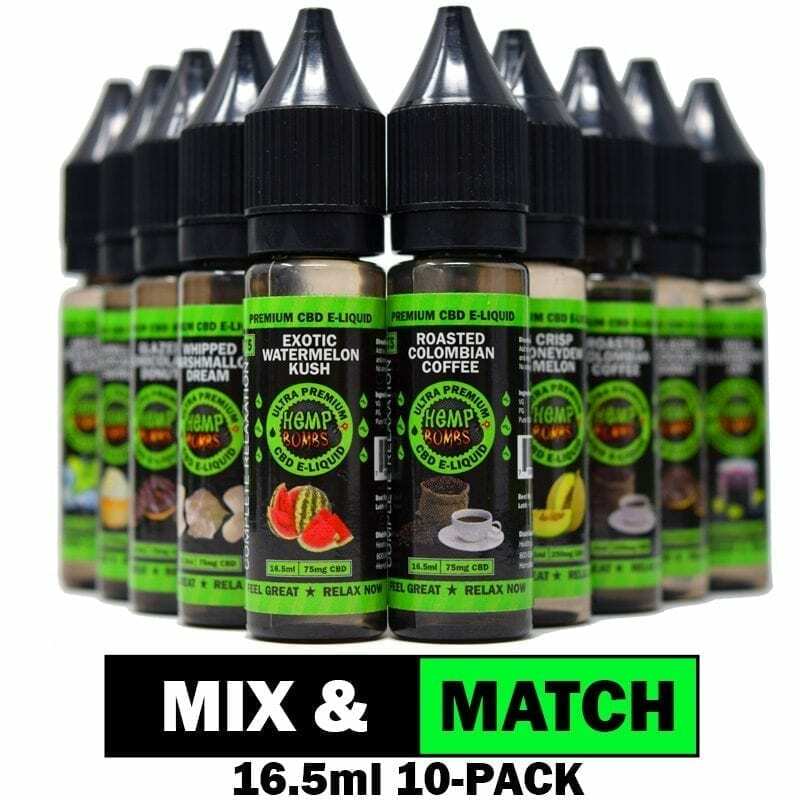 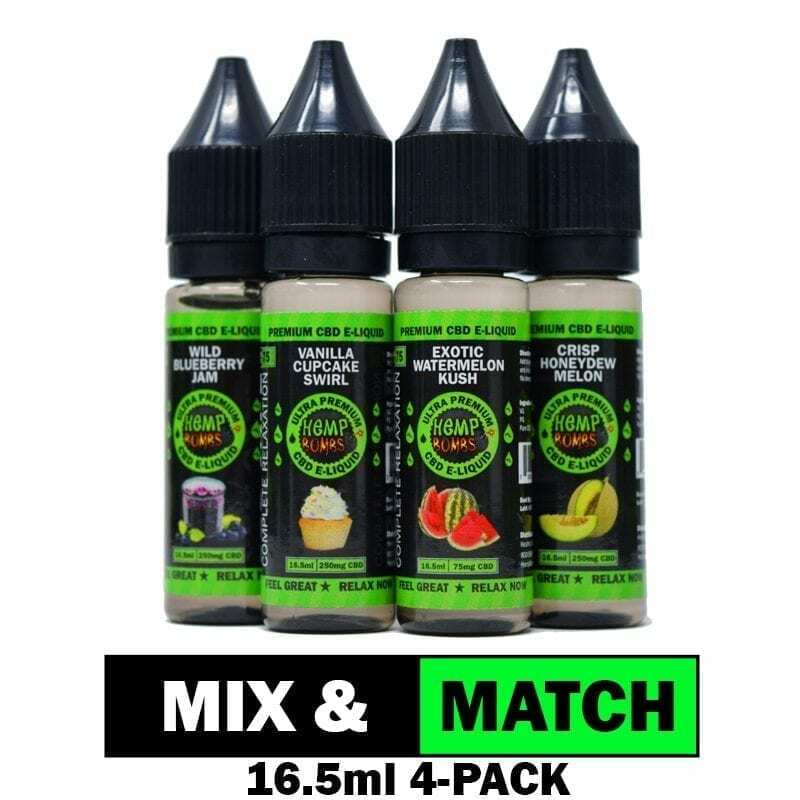 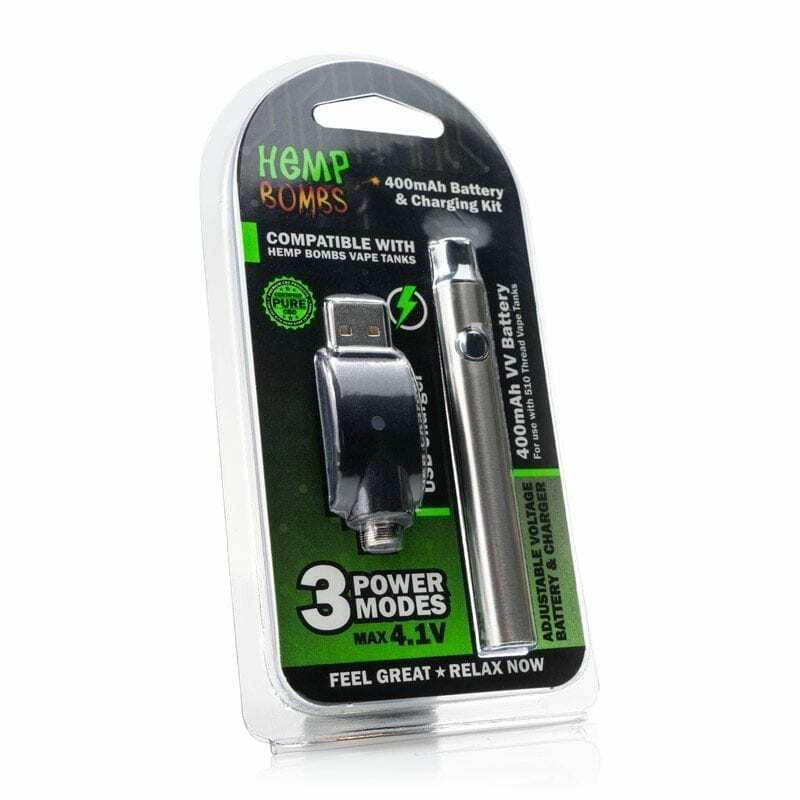 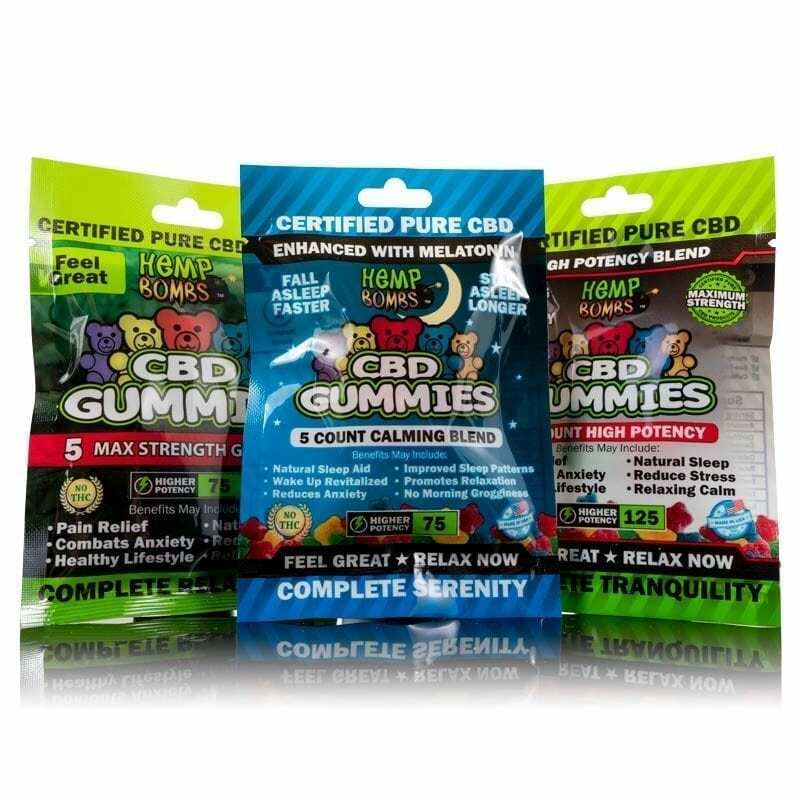 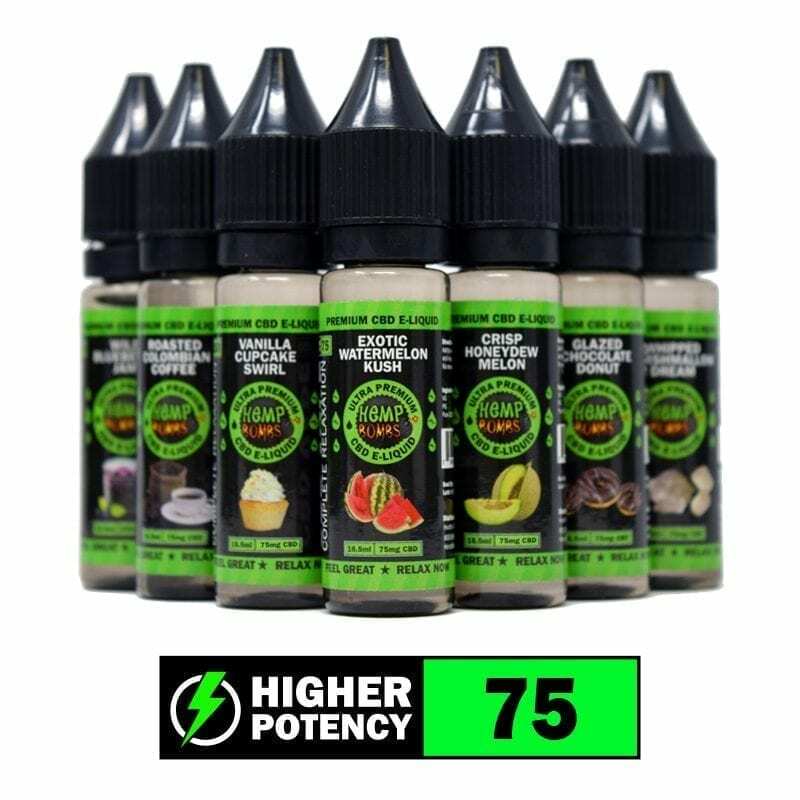 We have a diverse product line that allows even the pickiest shopper to find their perfect CBD product. 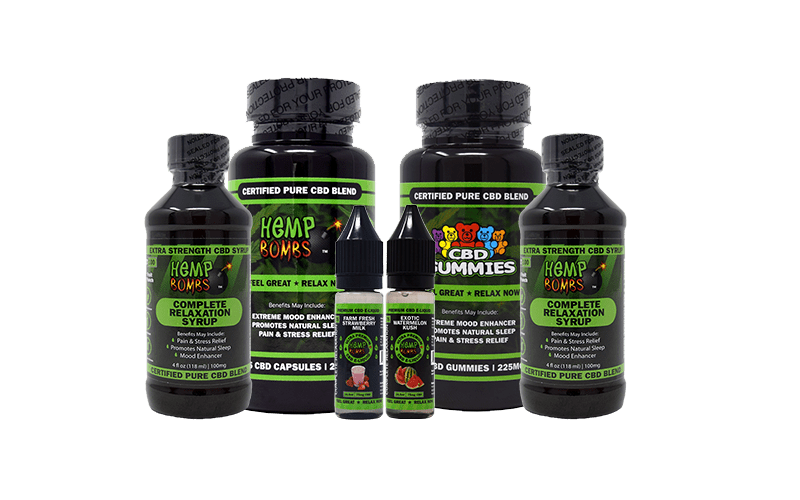 Our research and development team is always innovating and developing new products, and you can count on Hemp Bombs to put your needs first. 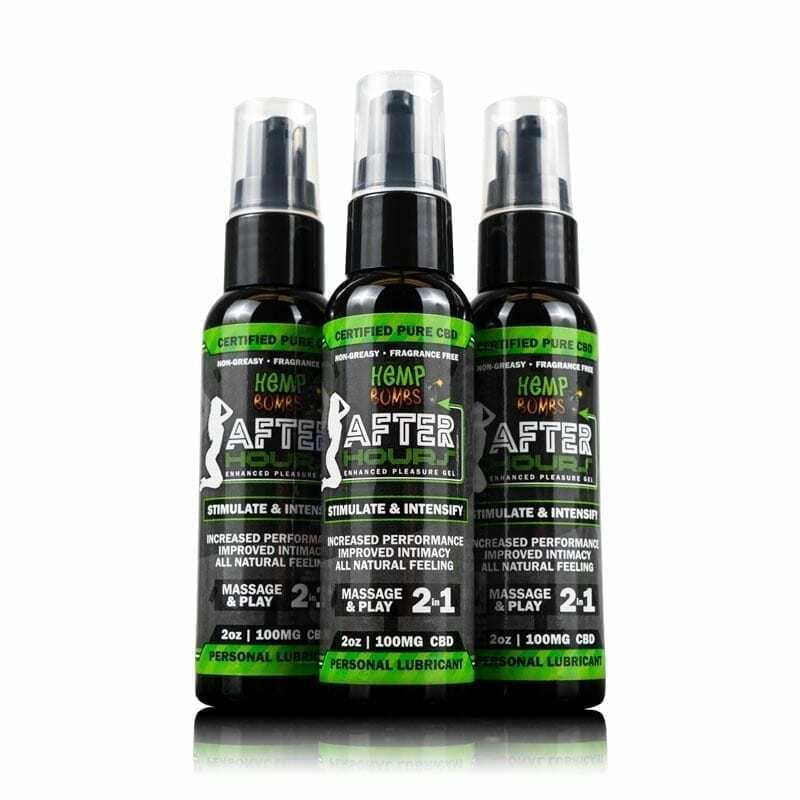 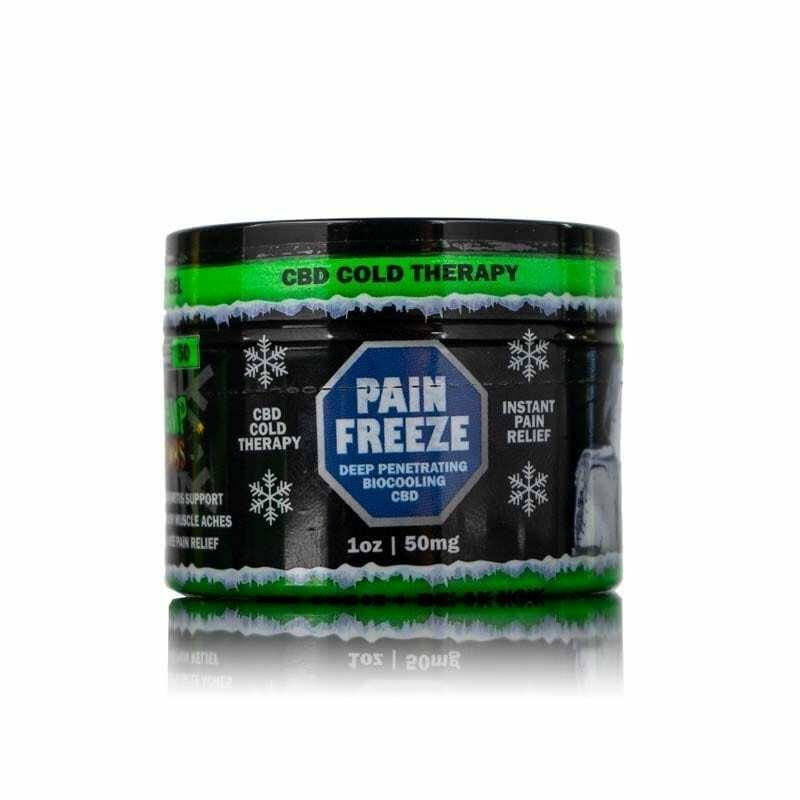 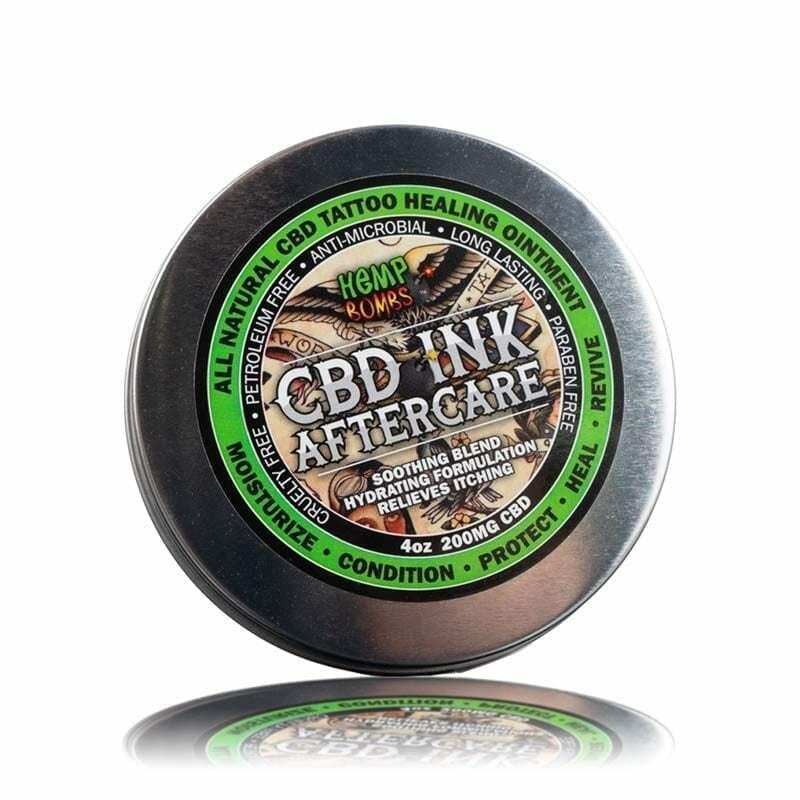 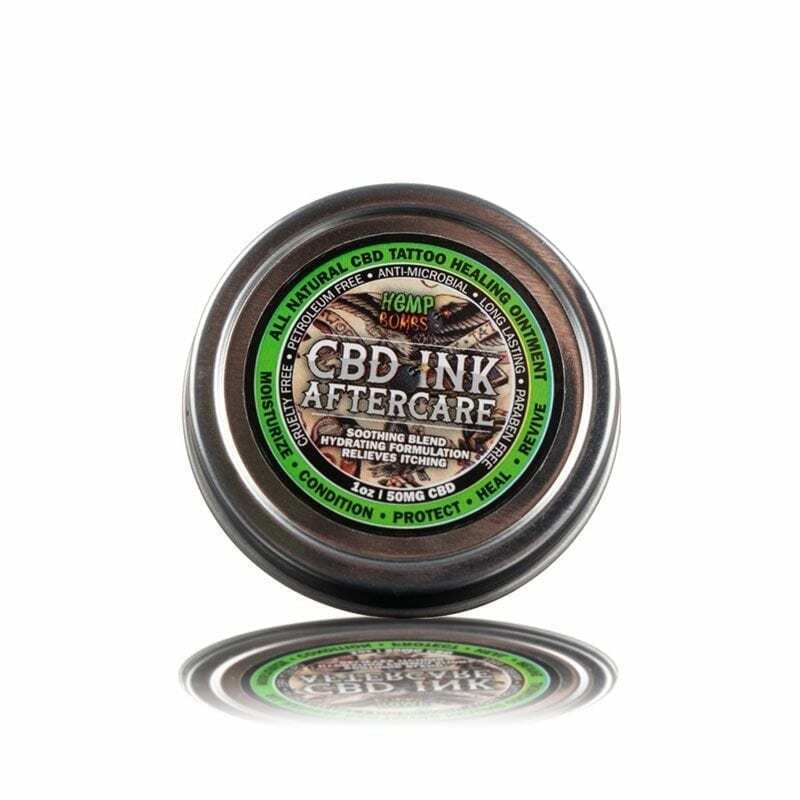 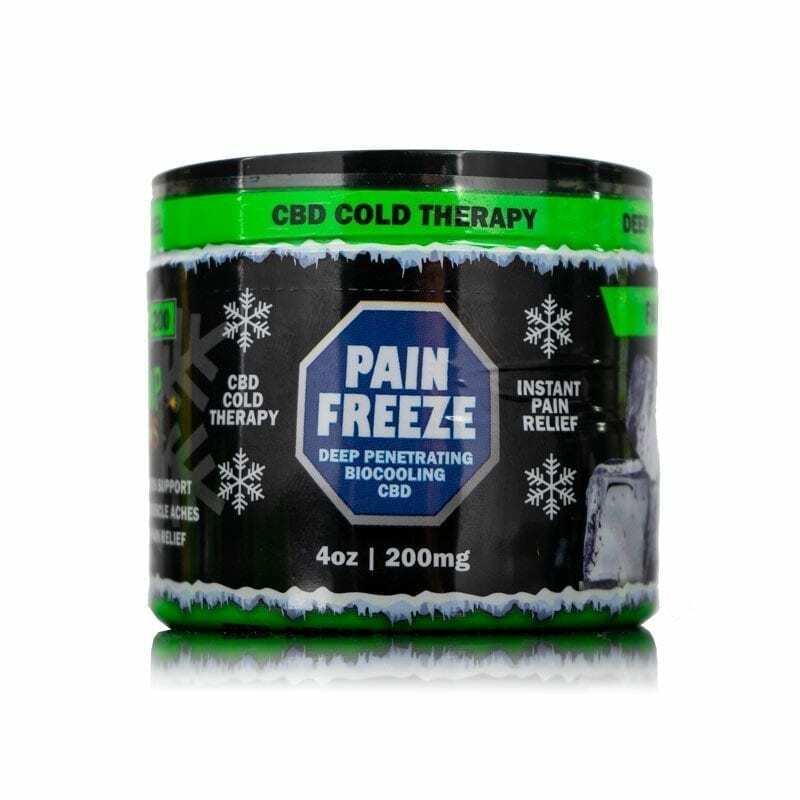 Whether you're looking for a pain rub with 50 milligrams of CBD or need high-potency CBD Oil, we have something you'll enjoy. 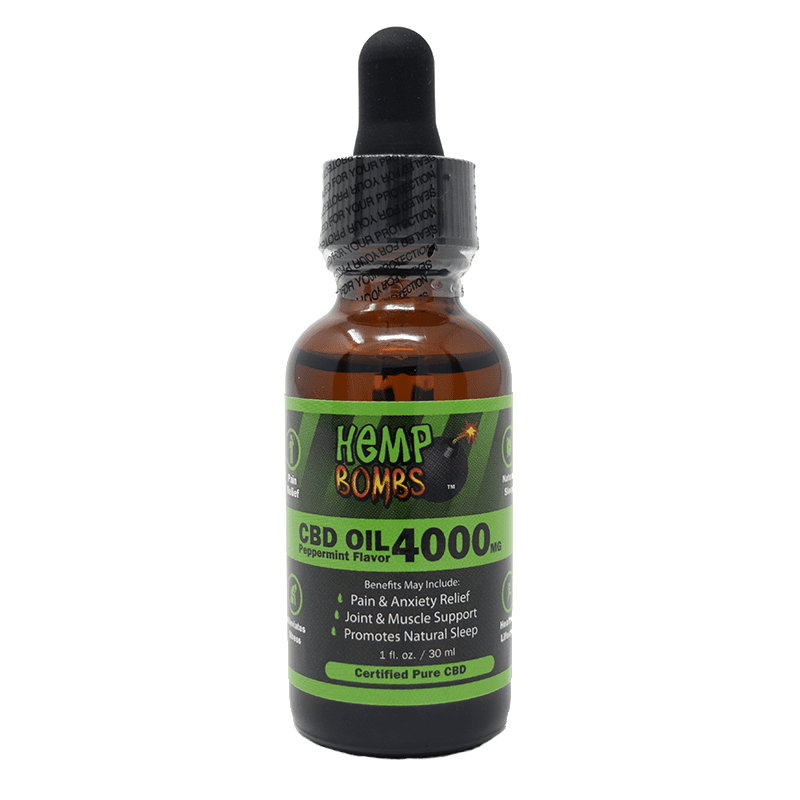 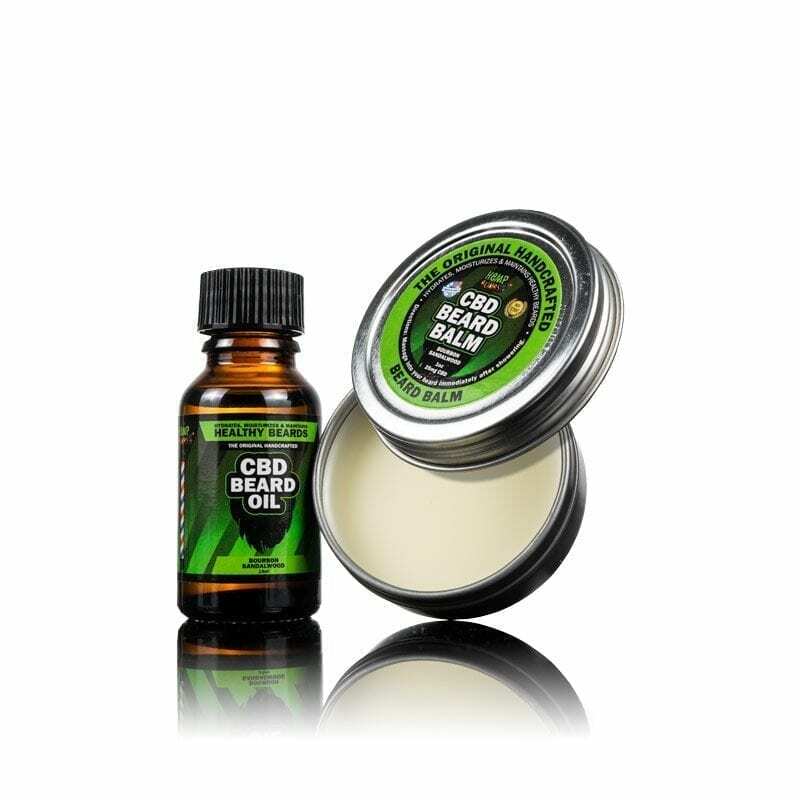 If you're unsure which Hemp Bombs product will suit you best, we invite you to try our CBD Bundles that combine some of our best-selling products into one convenient package. 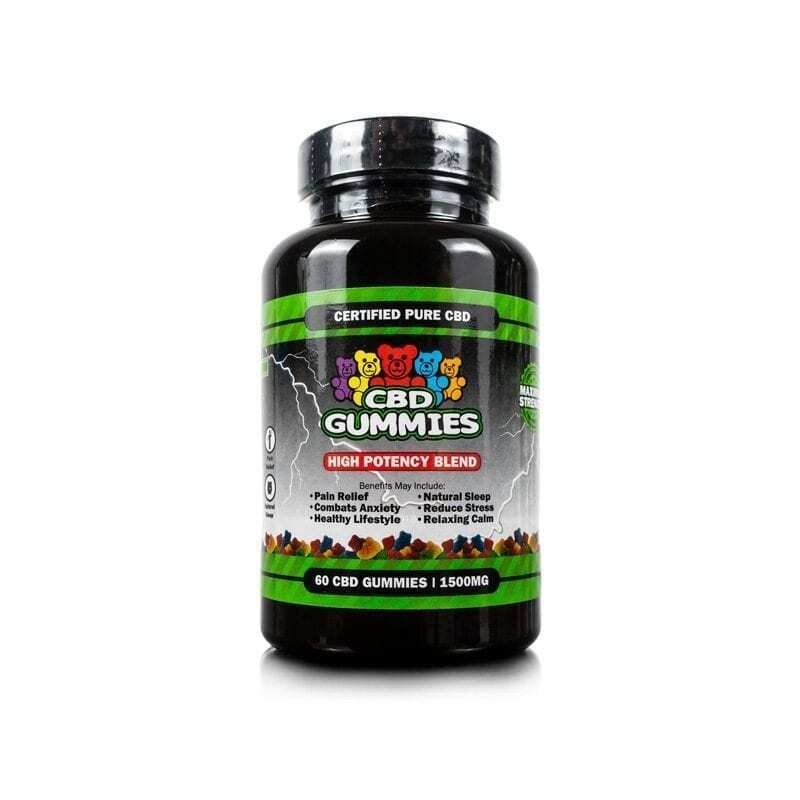 Additionally, we offer a 30-day satisfaction guarantee, so you can return and exchange with ease. 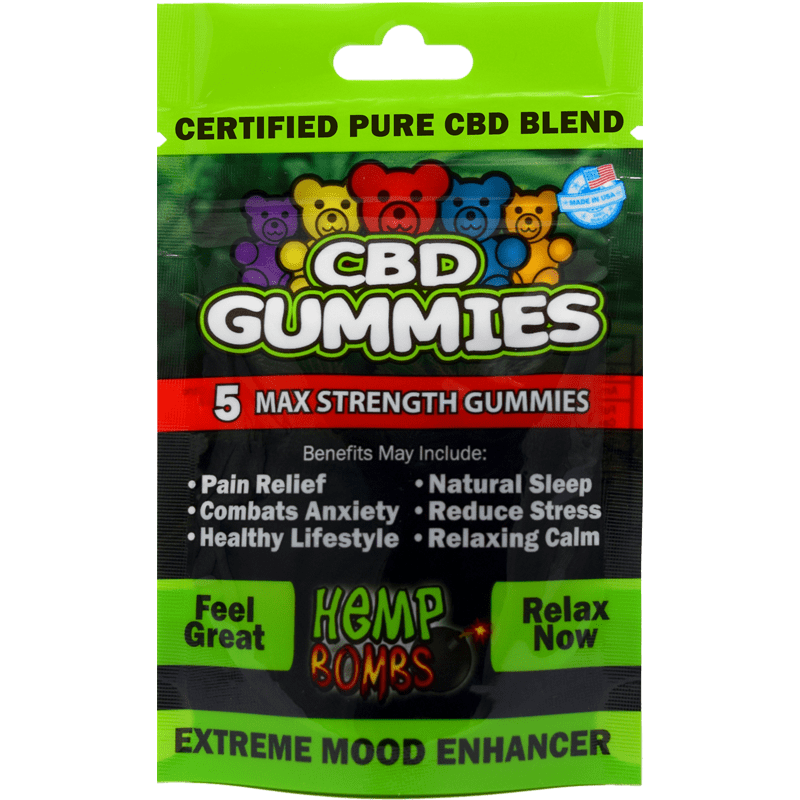 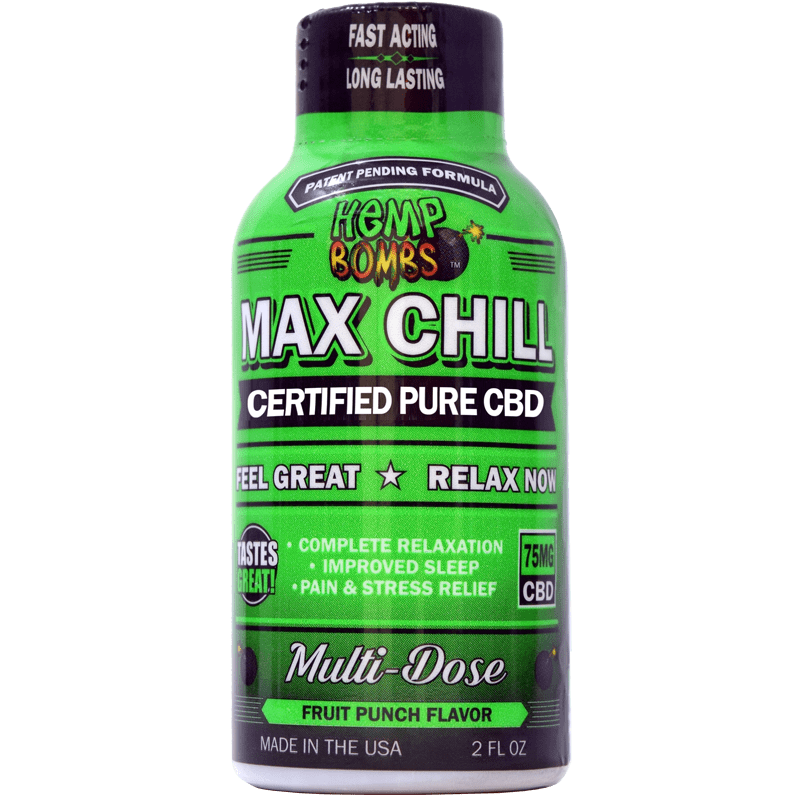 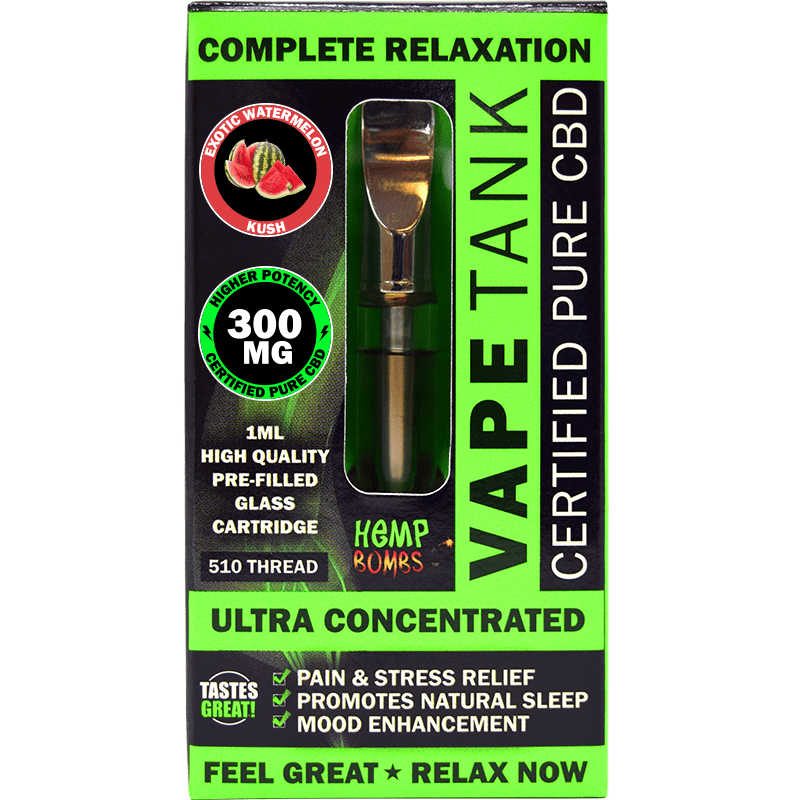 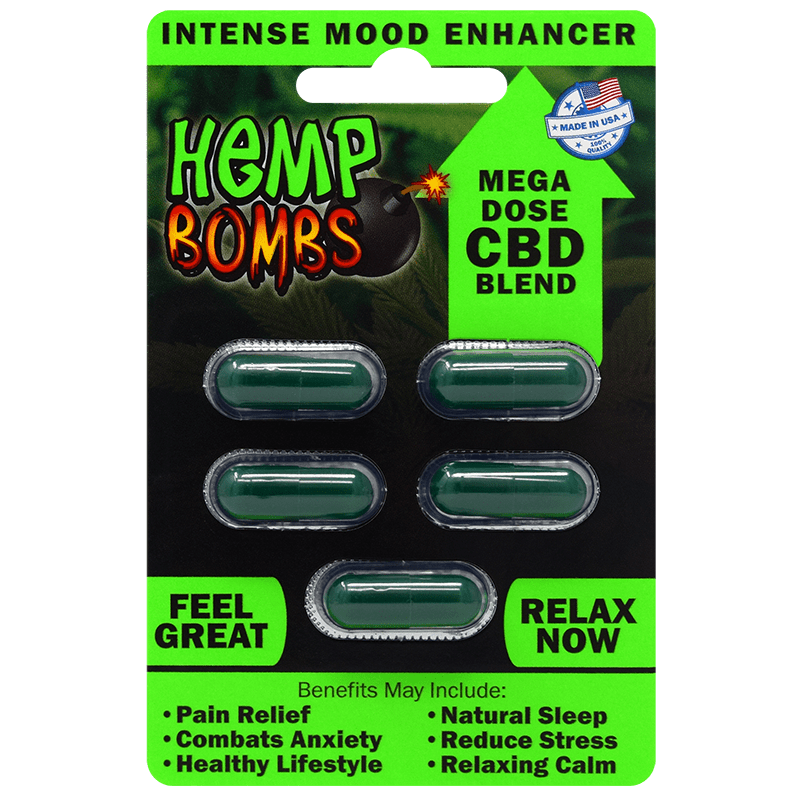 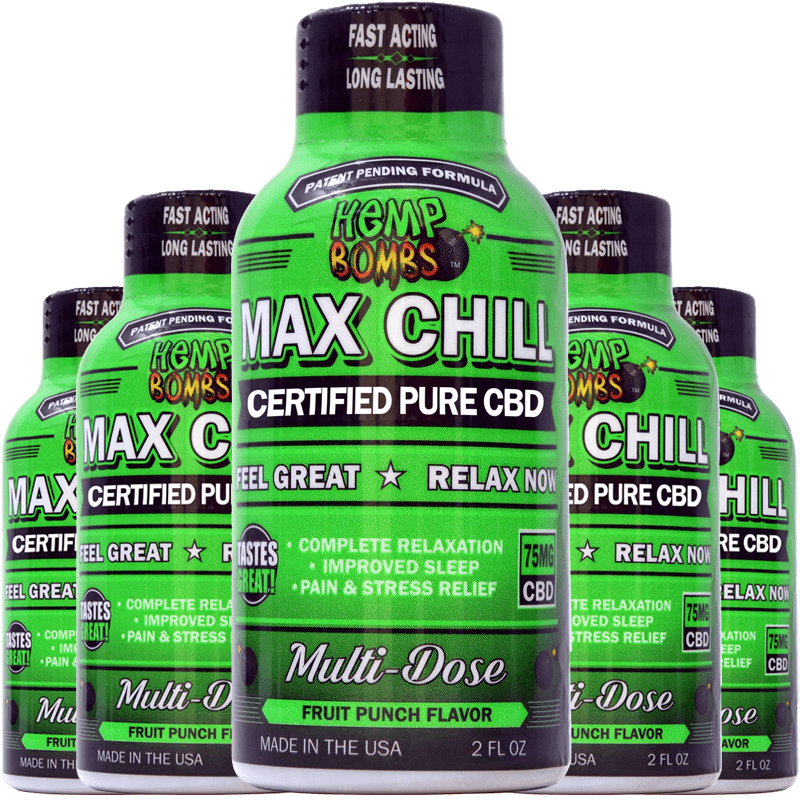 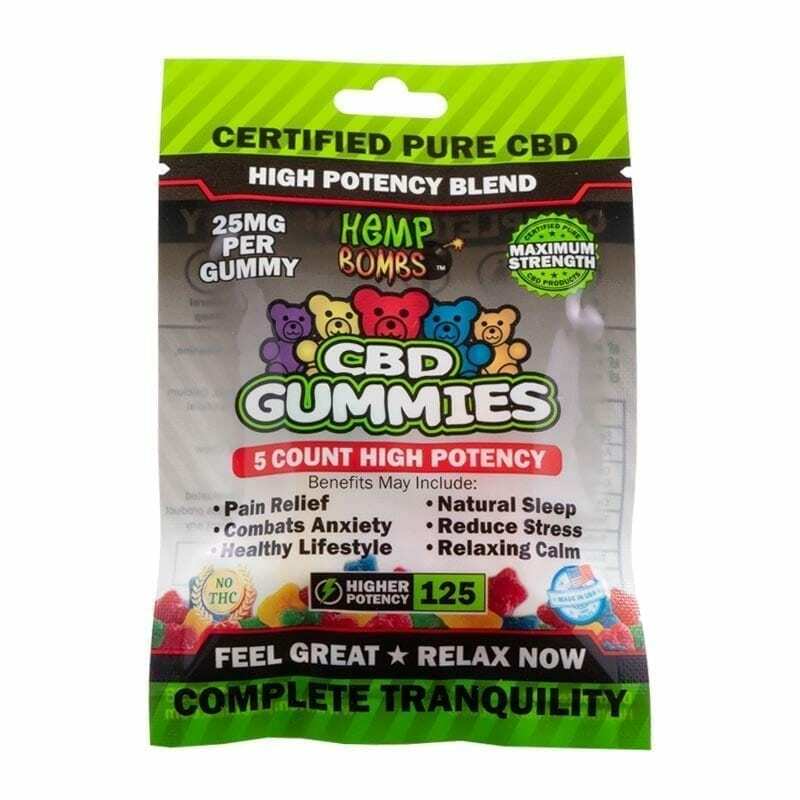 One of the most common questions we get is, “How will CBD make me feel?” Hemp Bombs CBD doesn't get you "high"; instead, it'll likely make you feel calmer and more relaxed. 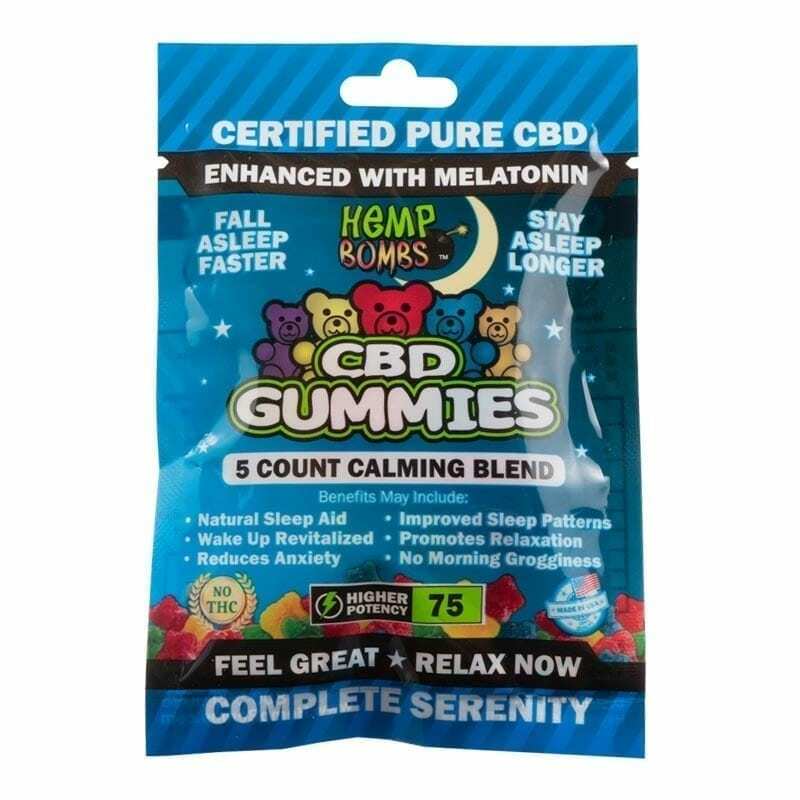 Additionally, CBD may relieve pain, help with sleep and increase focus. 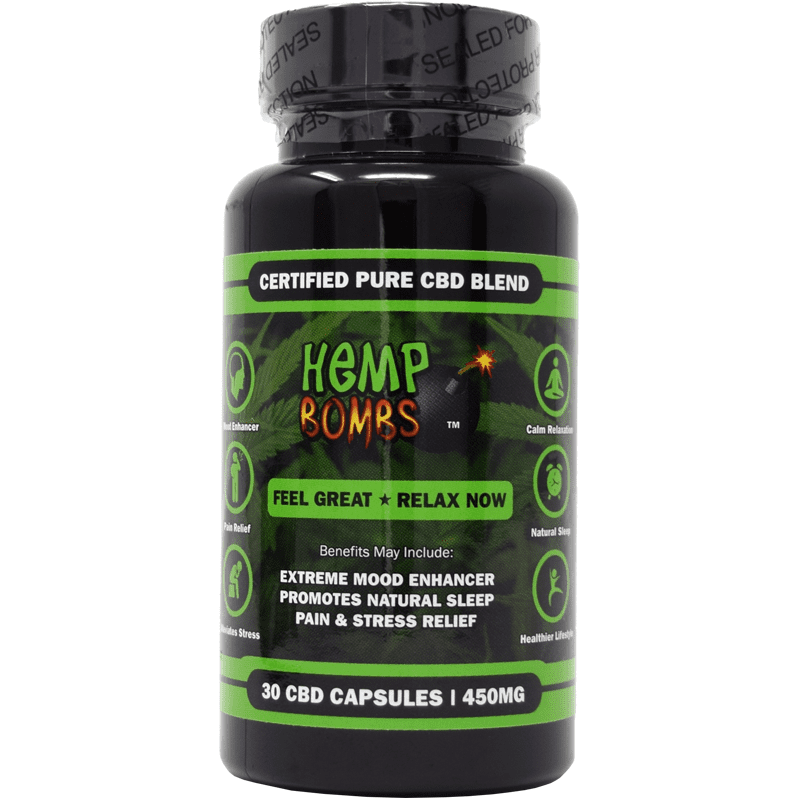 You don't have to worry about failing a drug test when you choose Hemp Bombs CBD, as our products are THC-free and federally legal. 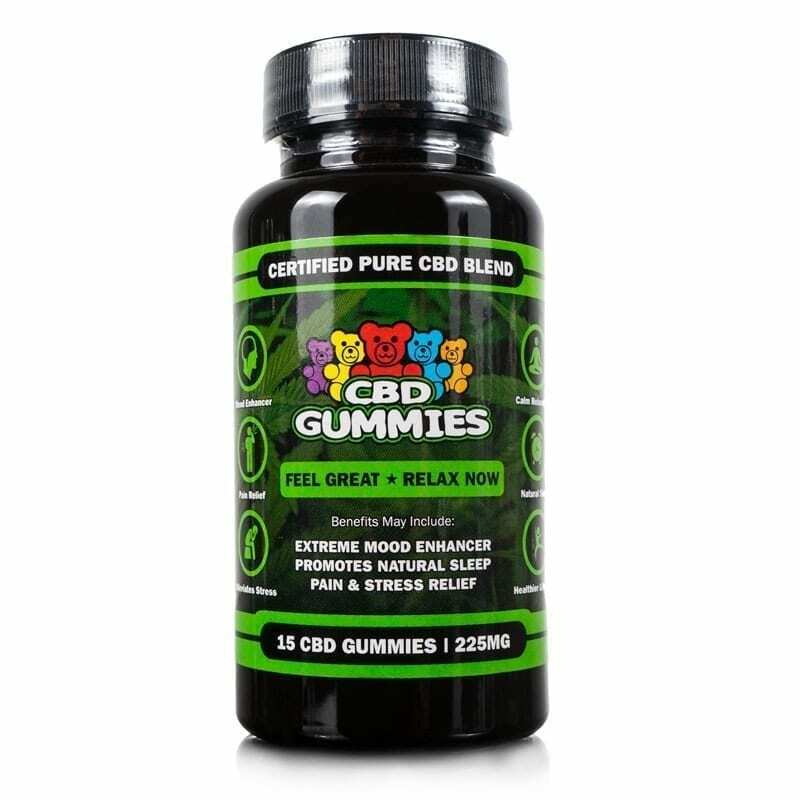 People often wonder whether CBD's purported benefits are a marketing ploy, but we can assure you that CBD has been shown to have a profound effect on the human body. 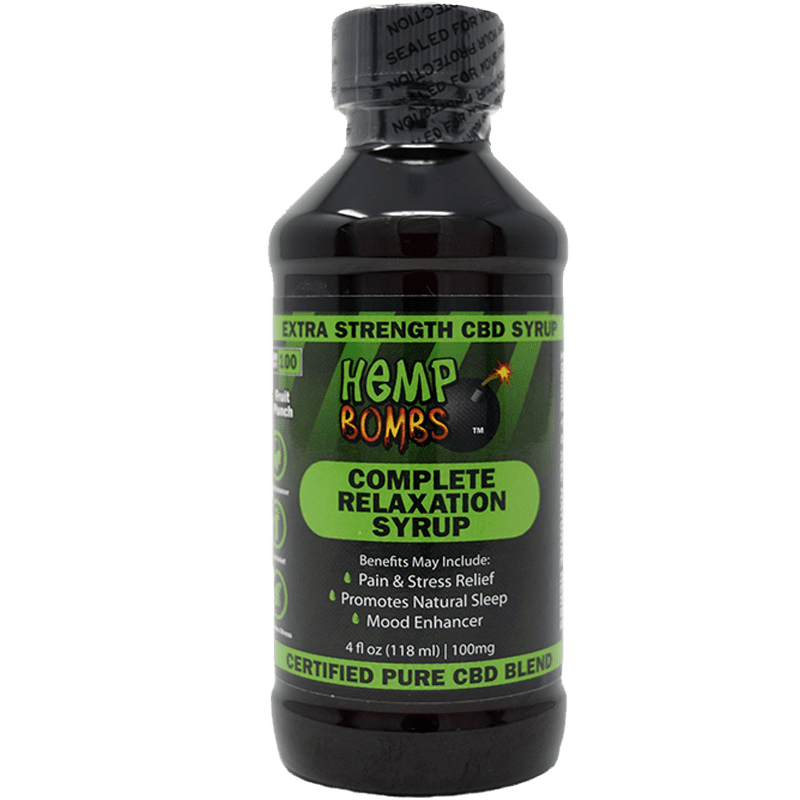 While the compound isn’t guaranteed to treat health conditions, research has shown that CBD can reduce inflammation, ease anxiety and improve overall mood. 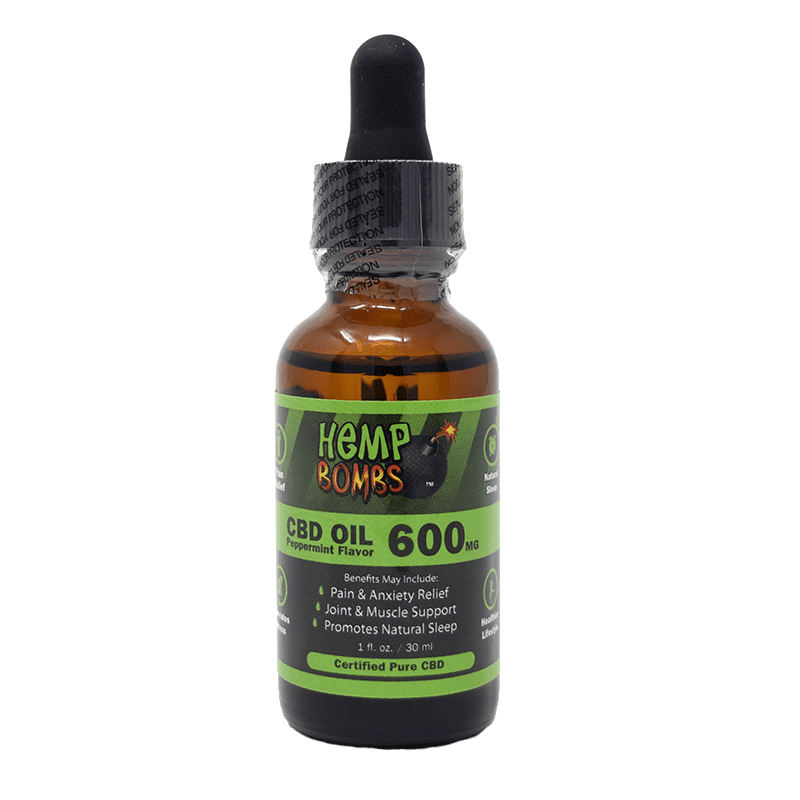 We owe its effectiveness to the Endocannabinoid System, or ECS – an essential system found in all mammals that responds to CBD once it enters your body. 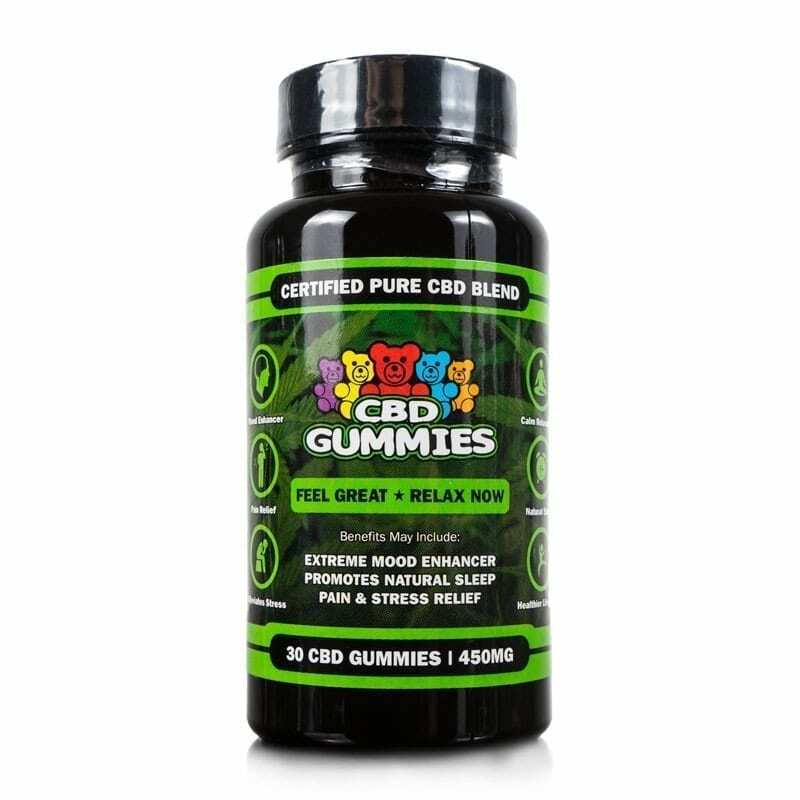 The ECS has cell receptors that interact with cannabinoids, or compounds derived from Cannabis. 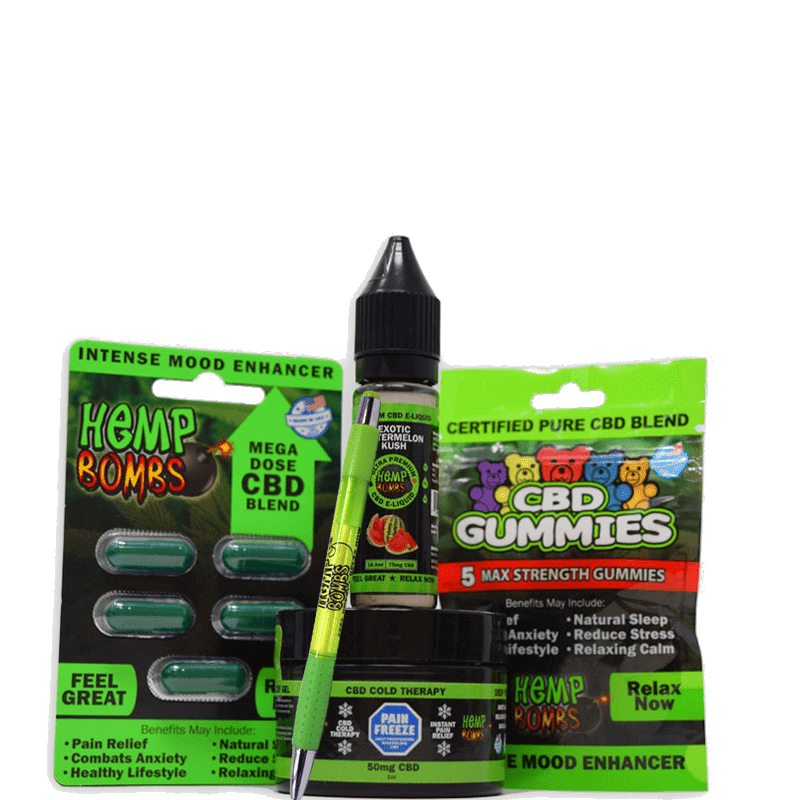 The Endocannabinoid System is responsible for regulating mood, memory, appetite, inflammation and much more, which is why CBD works. 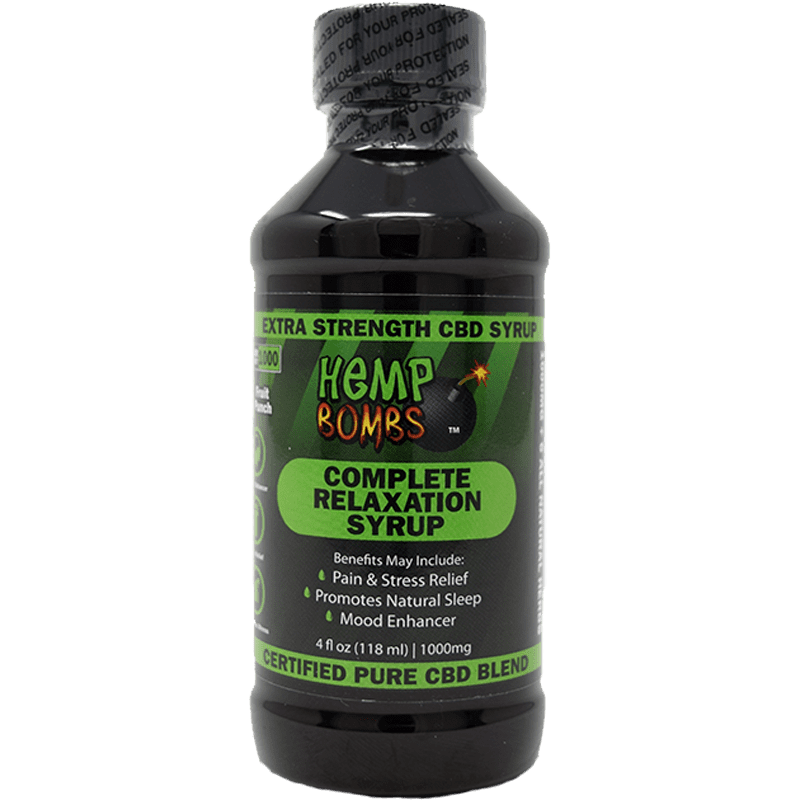 The ECS is specifically equipped to respond to CBD, which is why it differs from other natural supplements. 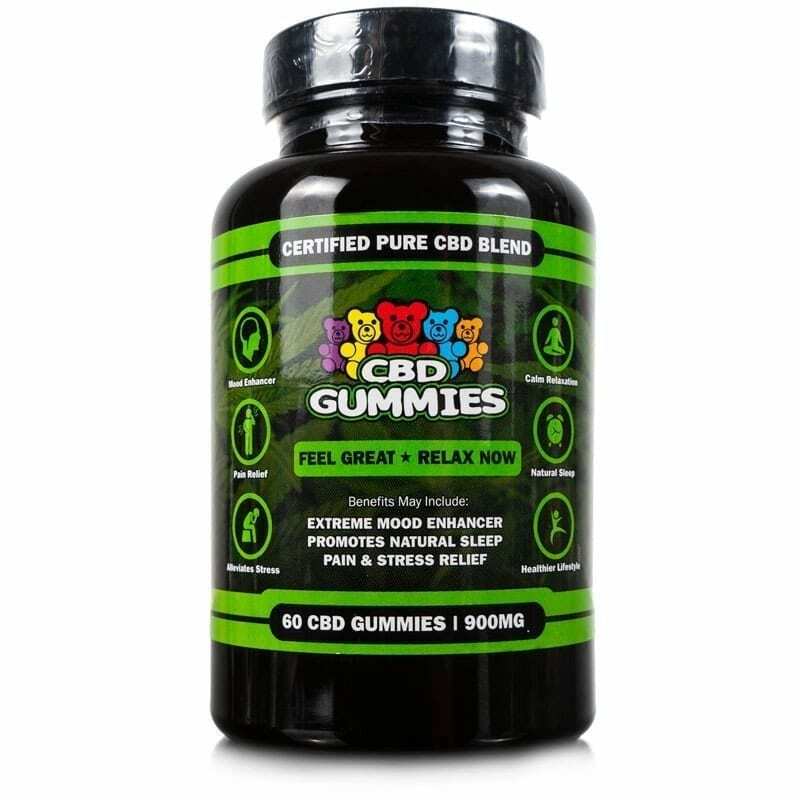 CBD products may help with a range of conditions thanks to the ECS, and an overwhelming number of our customers report therapeutic benefits like better sleep and reduced stress levels after experiencing CBD. 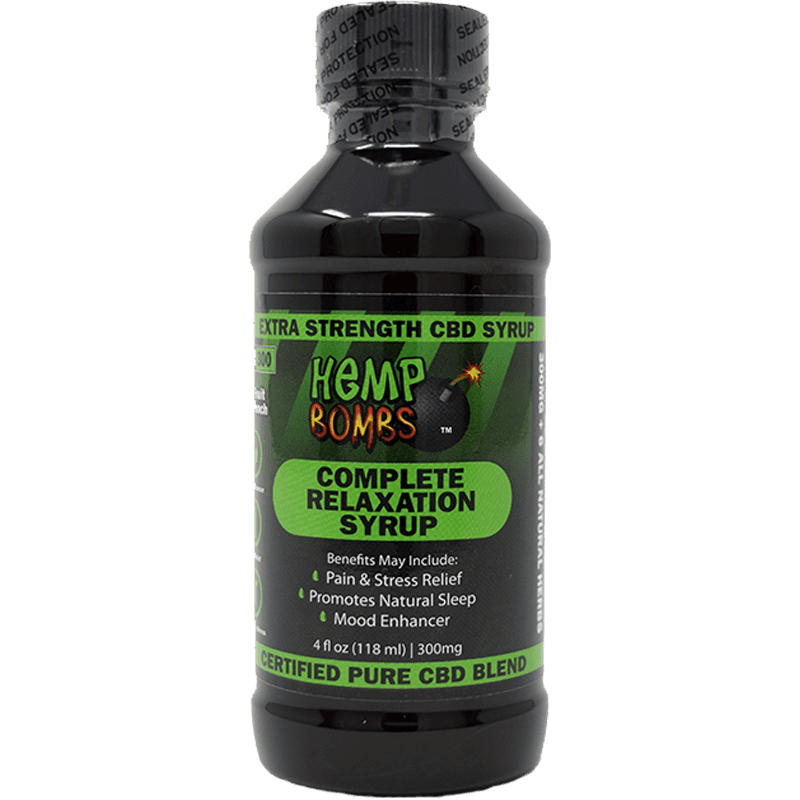 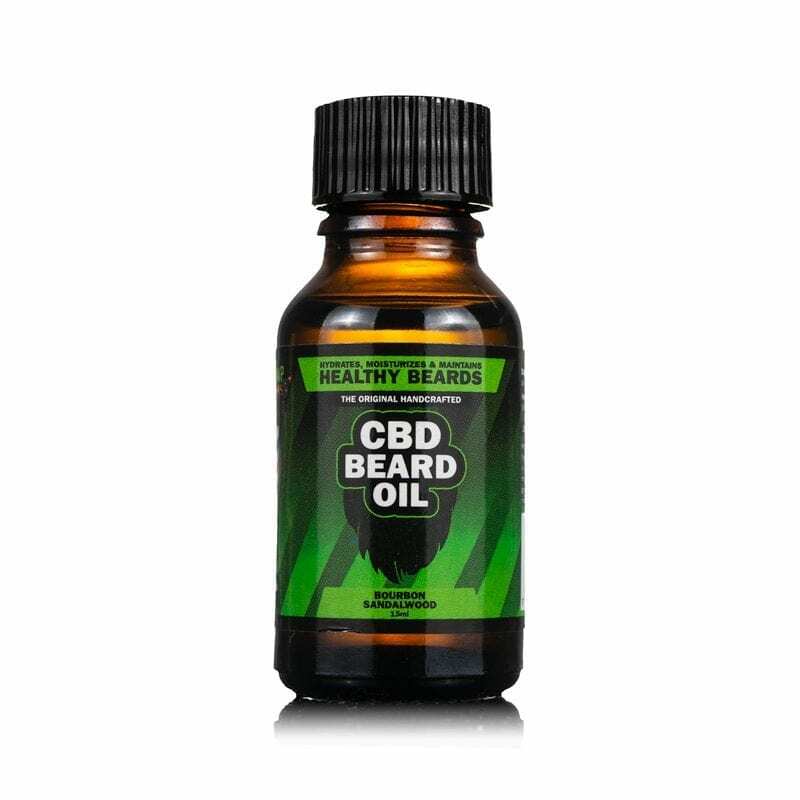 Additionally, Hemp Bombs uses a proprietary blend of botanicals in many of our CBD products, which helps maximize the potential benefits of CBD and enhance the wellness boost it provides. 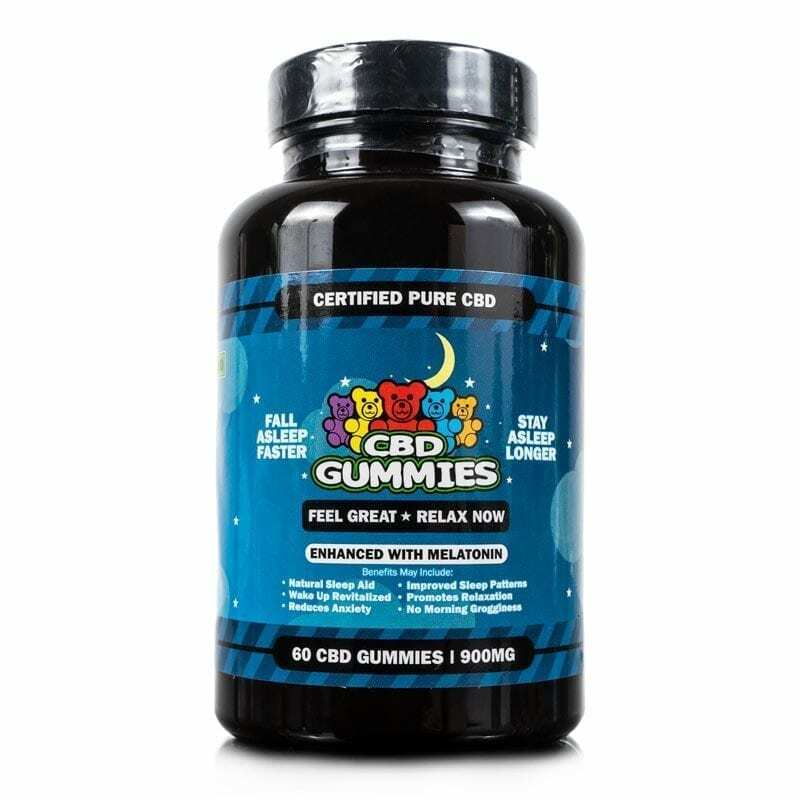 Because of lax regulations, corporations are able to make claims about their CBD products that may be false. 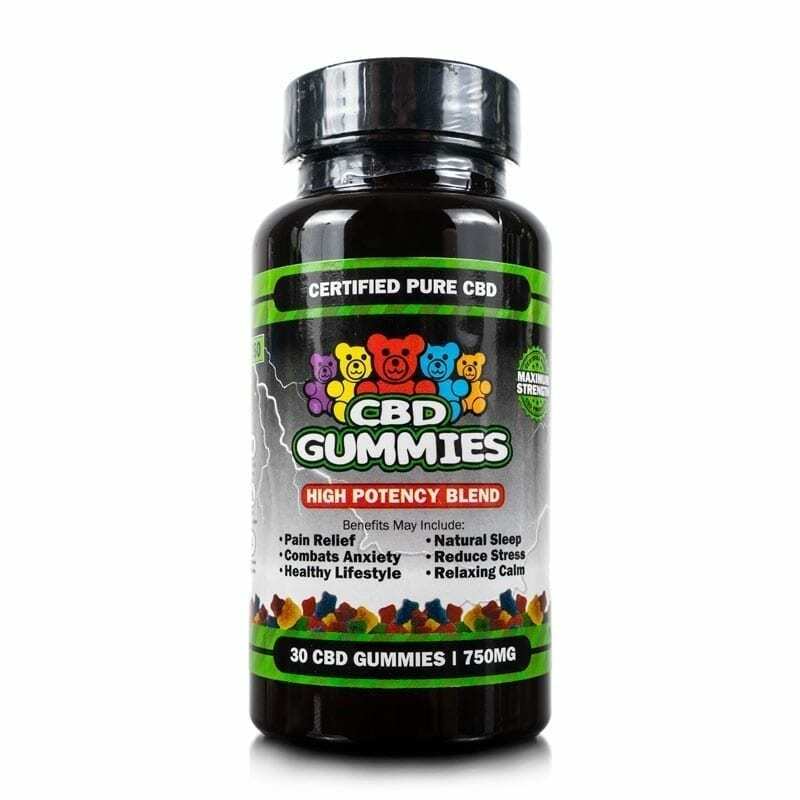 We care about your health and peace of mind, which is why we only use 99 percent pure CBD isolate. We also have all our lab test results available online, and customers can reach out to our team with any questions or concerns. 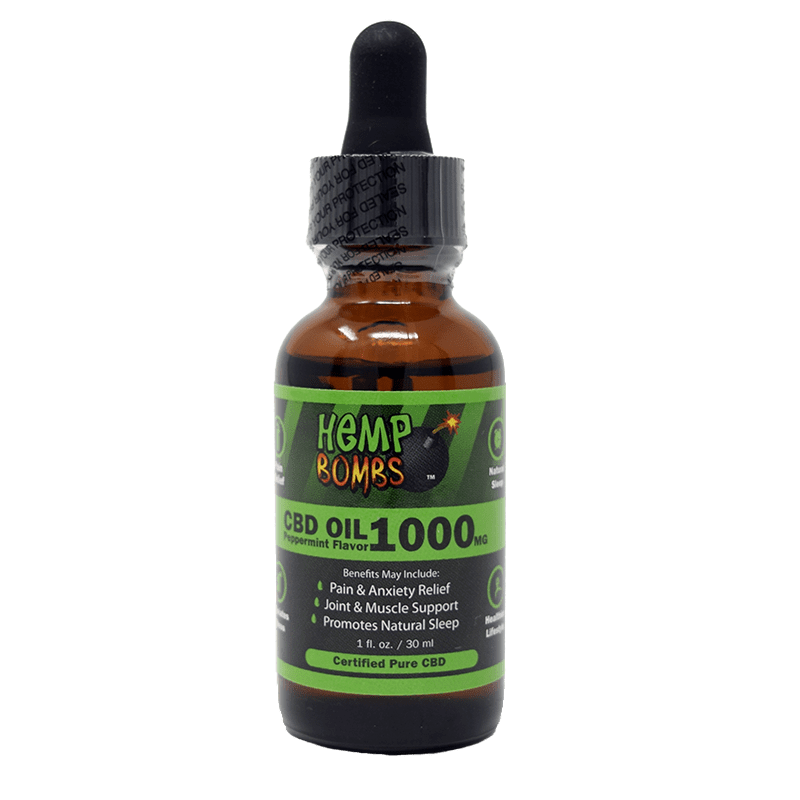 Our products are manufactured at an in-house facility, and every member of the Hemp Bombs team is committed to meeting our strict quality standards. 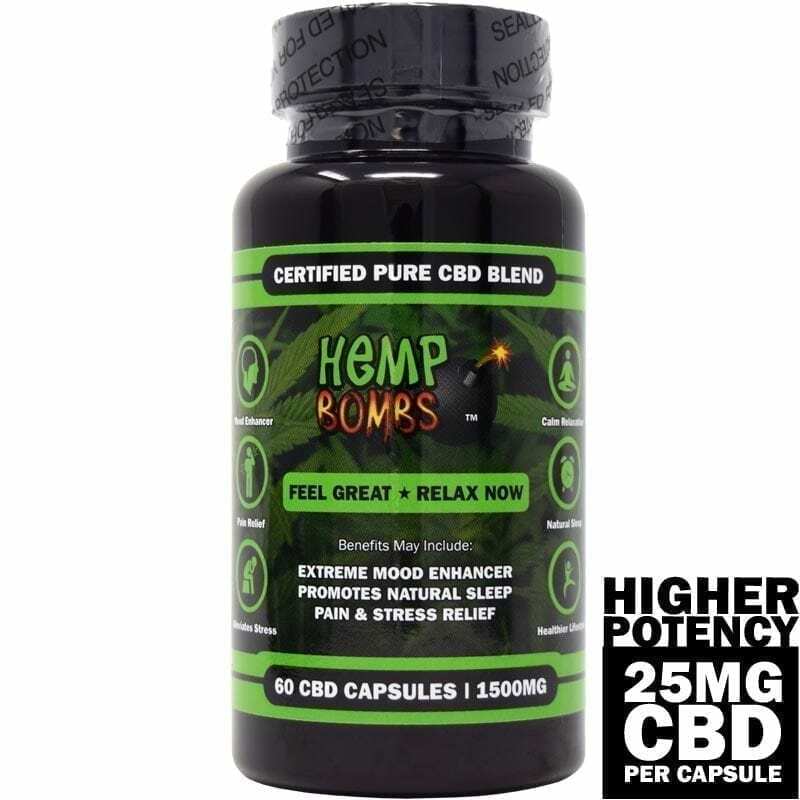 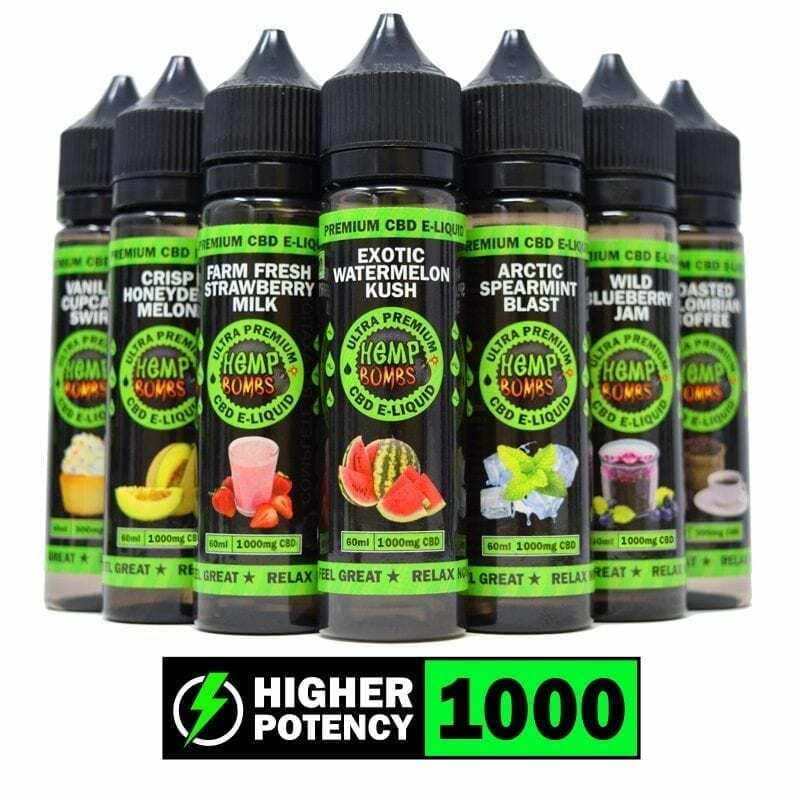 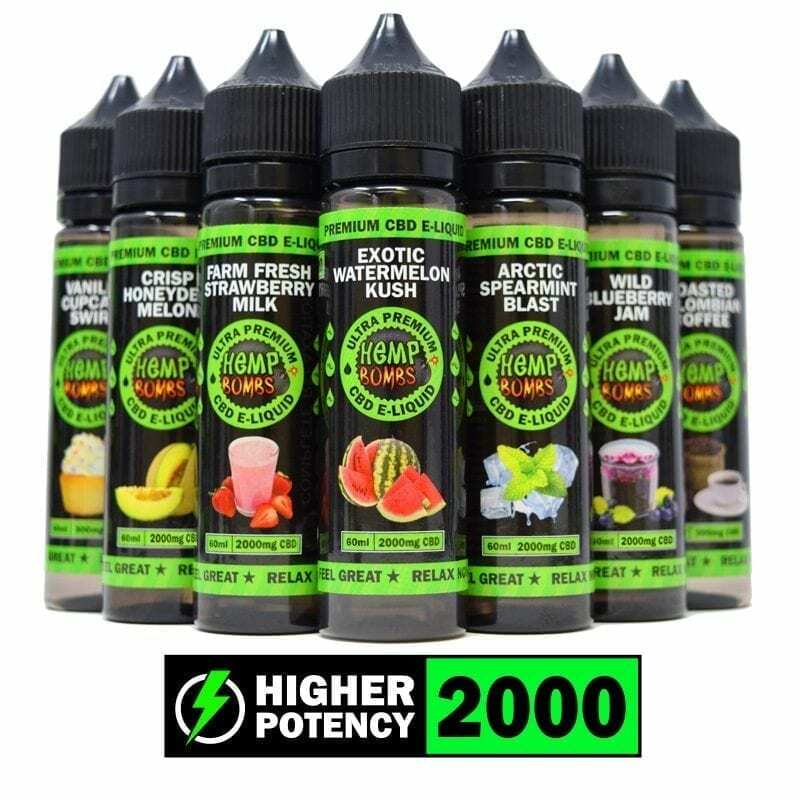 Along with the rigorous quality standards that allow us to make the best CBD products in the industry, we also have a fully staffed customer support department with knowledgeable specialists who can answer any questions you may have about Hemp Bombs or CBD in general. 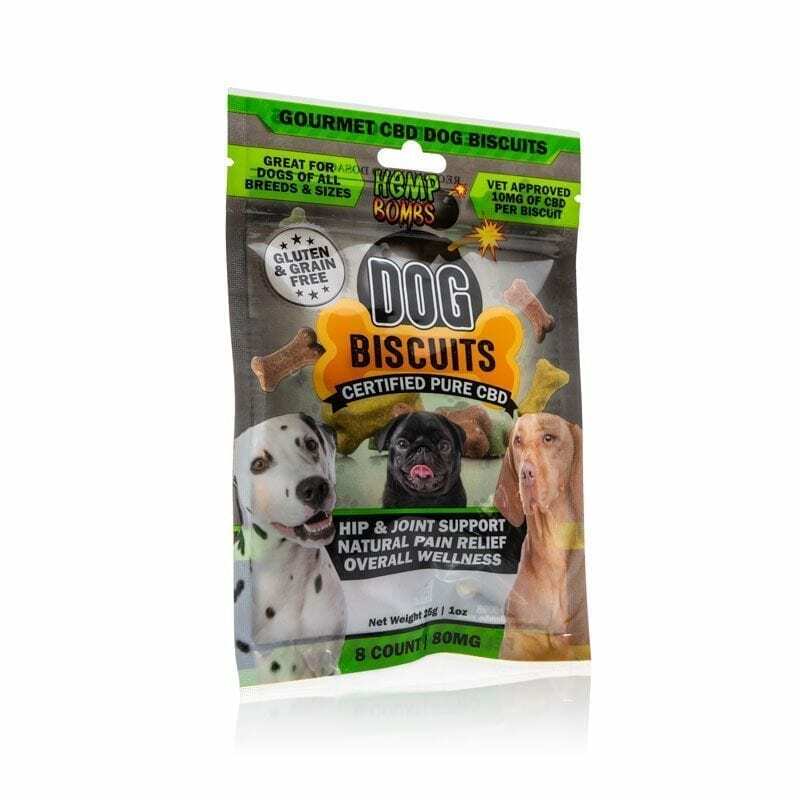 Instead of outsourcing customer service, we work hand-in-hand with our customer support team to make sure we're meeting your expectations. 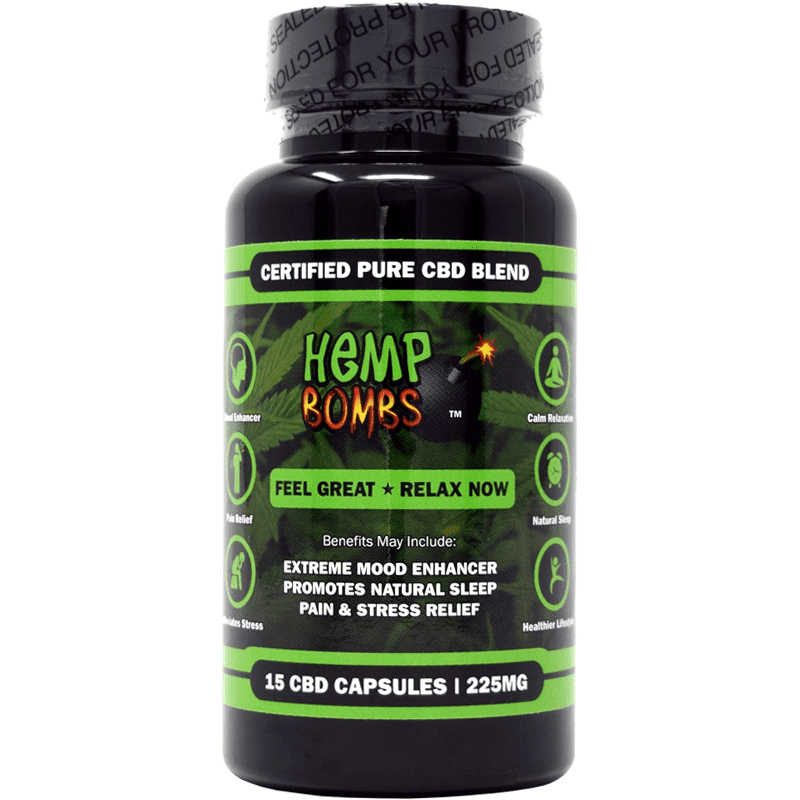 Shop with us and experience the Hemp Bombs promise firsthand.